In an age where we all seem to permanently carry a camera of some kind around with us, and will regularly photograph our bonsai, it can still be difficult to take clear images of our trees. As regular readers of Bonsai4me.com and my books will know, I am very often taking images of my own trees, as well as trees that I am working on. Many years ago, I built a large wooden-framed photographic background that I am able to place my trees in front of. Unfortunately, over the past decade the frame started to suffer after a lot of use and a new one was needed! 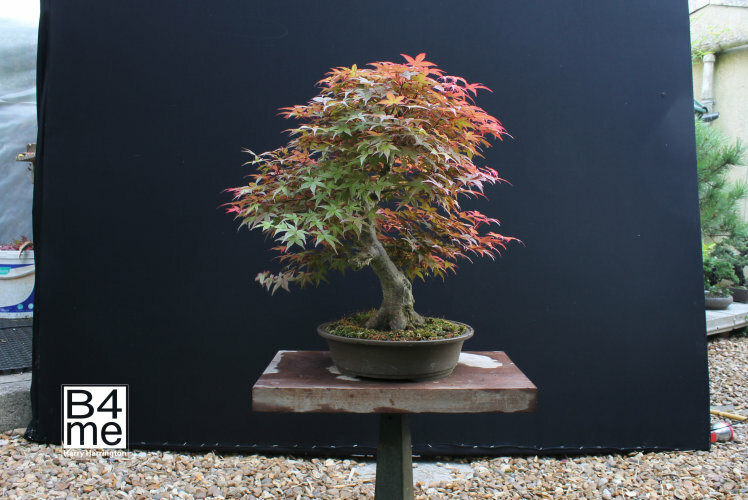 Although large pieces of material such as old curtains or cloth can be used to allow the bonsai to be seen against a less busy background, the inevitable folds and creases can jar the eye and become an annoyance. For this reason, I use a large wooden frame over which the material is permanently stretched. 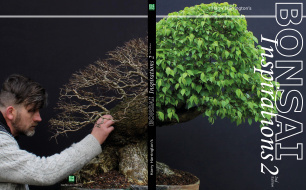 This new frame measures 1.8metres by 2 metres, large enough to comfortably photograph bonsai of up to around a metre in height while still allowing some blank space (backdrop) to appear in the image around the tree itself, and importantly, large enough to allow the tree to be placed a distance in front of the background. The further the tree is from the backdrop, the more the backdrop 'fades' into the background of your photos. 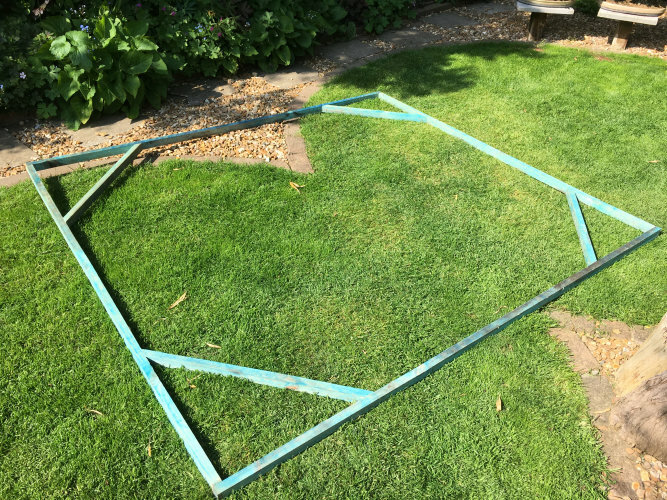 The frame is constructed from 2x4cm timbers from a builders merchants and simply screwed together, with a reinforcing bar in each corner to keep the frame square. 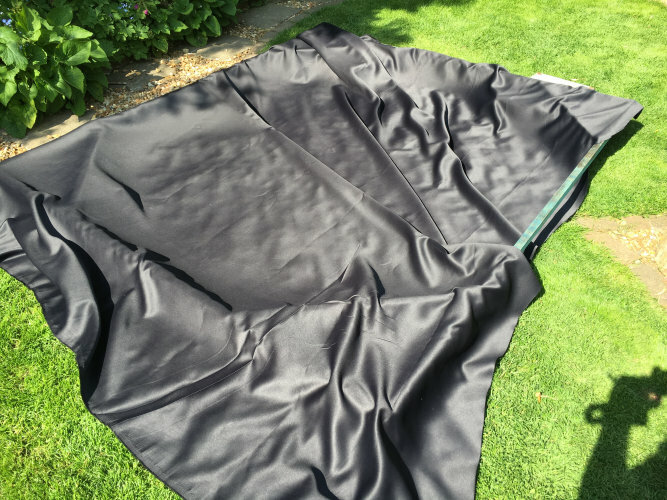 First to be stretched across the wooden frame is a large piece of black-out curtain material sourced online. This is an important part of the build as it truly shuts out any light that might otherwise come through the backdrop. 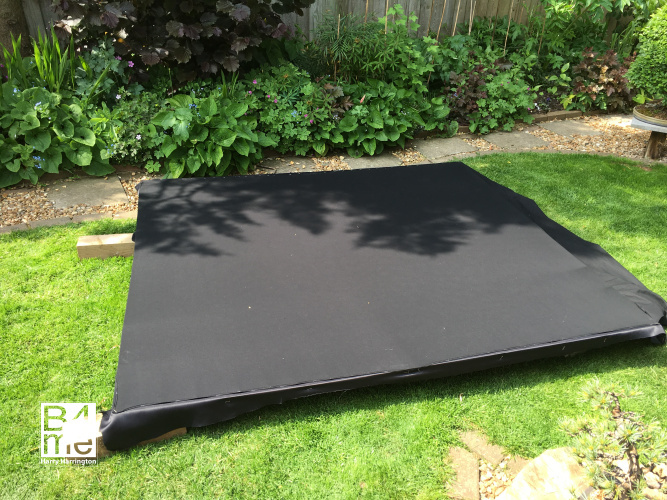 Using a staple gun to staple the black-out material to the back drop frame. Staple the middle points of opposing sides of the backdrop and keep stretching the material, then work methodically around the frame, making sure that at all times the cloth is stretched firmly. 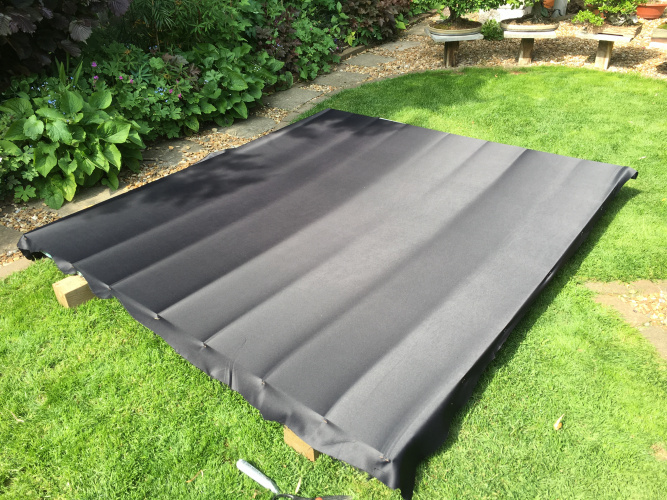 A second layer of material is then attached in a similar fashion; this time I have used black photographic material, again sourced cheaply online. This material has a matt finish, is non-reflective and for obvious reasons, excellent for photography! A range of colours and tones are available; I have always preferred to use black backdrops but some prefer white, with excellent results. The completed photographic backdrop. For best results when photographing bonsai, place the backdrop where it is shaded from the sun or other light sources. But place the bonsai itself in direct natural light or under a light source. This contrast in light will help your camera pick out the bonsai from the background, making it fade back in the image. 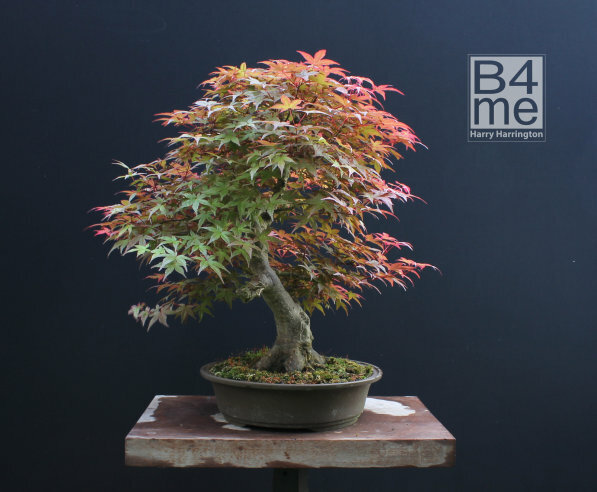 The image of the Deshojo Maple bonsai after cropping, ready for publishing.